I haven’t heard much about new year’s resolutions this year. I haven’t made any. Has anyone? I think I’m still reeling from 2016. But hey, here we are, and life goes forward spinning round and round as the world turns. Perhaps, I should just think about what I want to accomplish in 2017 in terms of goals. Goal. A desired result or possible outcome that one envisions, plans, and commits to achieve. At the top of my list should be to bring kindness to my world. Not only to bring it, but to look for it in others. I feel a need for my own sanity to avoid toxic people who continue the trend of 2016 to spread political untruths, to engage in name-calling, to manipulate others into seeing things their way. I’m a writer. I will continue to write and read and explore for understanding. That is how growth comes. Growth comes from way down deep, from thinking, from questioning, from soul searching, from seeing things the way that only I do. I’m a writer. I see differently. I don’t bury my head in the sand and ignore. I work it out. I write to know. Finish the novel I’ve had in the back of my mind for maybe 15 years. I’ve made three attempts to start it. I remember sitting in downtown Nashville at a restaurant around the new millennium and talking to Charlie about it. Maybe I let all the steam out. Write a chapter a week. Write an essay every month. The new month starts today. I should get busy. Plant garden foods I will eat. Take time to work in the gardens and flower beds. Tame my yard. Maintain it better. Live with less. Get of rid of old things I don’t need. Pack things to save in bins and label. Go to a movie once a month. Spend time with Puppy Heidi on Franklin trails. Reach out and make a friend in the neighborhood. Go to the beach—with or without the new little camper I want. Blog more. Ten years ago when I started blogging, I committed to two or three times a week. When Charlie died, that went out the door. I had to go to work full time and support myself. Maybe now, two or three blogs a month. At least. Rethink social media. Remember why I got on Facebook ten years ago. Get back to that. I didn’t want any old friends or family. Just the writing community. Facebook for marketing and keeping up with other writers and new books and writing support. I need to tighten my boundaries. Say what I want to say and leave the room. Okay, that’ll do it. I’m in. Foot down. New year. Go! Cleveland—lifetime home and lunch with the girls of my high school class…old friends! You sent art crawls, festivals, authors circles, writing groups, workshops, opportunities to speak and share my book, and . . .
Cracker Barrel, Chop House, Merridees, Amerigos, Circa, Homestead with old and new friends, and then, whew . . .
Chaeli. You took her away from me. Big Magic, Liz Gilbert, with Ann Padgett. Then Heidi Deering. You gave her to me. It’s a Wonderful Life, Studio Tenn at The Factory. Writing opportunity—essay turned in to editor, to be published in an anthology of 22 women writers next year. The ring and the engagement, Corey and Leah. 2015—You took harshly and you gave sweetly. You made me cry, and you gave me squeals of joy. Welcome, now, 2016—you clean slate, tabula rasa, you second chance, you great big gift of freshness! May we all keep up the journey, walk across the upcoming 366 stepping stones, one foot forward at a time, head high, eyes on the sky, eyes on the Light. We’re all in this. Pushing forward. Stumbling. Falling. Skipping and skating smoothly. Let’s do this. Let’s make it a good one. Peace. Joy. Love. To all! I’m thinking about resolutions. It’s January 12, you say. Too late to be thinking about resolutions. Before New Year’s, I did make a few resolutions. Even wrote them down. Two of them, I’ve kept. ▪ Walk every day, or at least five days a week. The second part took the heat off. ▪ Keep better financial records. “Better” is the word that saves me here. Because I can’t keep worse records than I did in 2013. But there’s no goal on my list. Nothing I plan to accomplish in 2014. I don’t know how to live without a goal. I can tell I don’t have anything pressing on my slate when I wake up in the morning. Instead of popping straight up out of bed, I lie there and ask myself what it is I need to do, or want to do today. In years past, I’d know and jump up and get right on it. That makes me think that people who don’t believe in resolutions will achieve nothing. You know what you want to do. But are you committed to doing it? 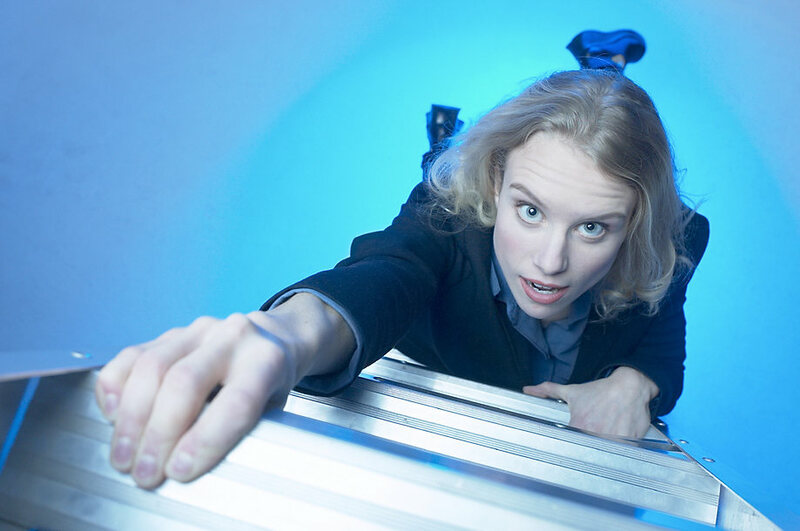 You didn’t resolve to do something toward achieving that goal on a regular basis? You don’t have weekly goals or monthly goals? Mark my words: come December 31, you won’t have anything done to reach what you think you want to reach. You might as well pack it up and forget it. I don’t want to be in this bunch. I’ve got to sit down right now before the Ides of January and figure out some exacts, some reasons to get up at five in the morning and get going, some goals to better my life and position. I need resolutions. With them, I know I am making progress. If in the end, I don’t reach the top of the ladder, it’s okay. I’m at least halfway or three-fourths of the way up. And that is good. What about you? Do you have them? Are you keeping or breaking them? Are you at least making progress? 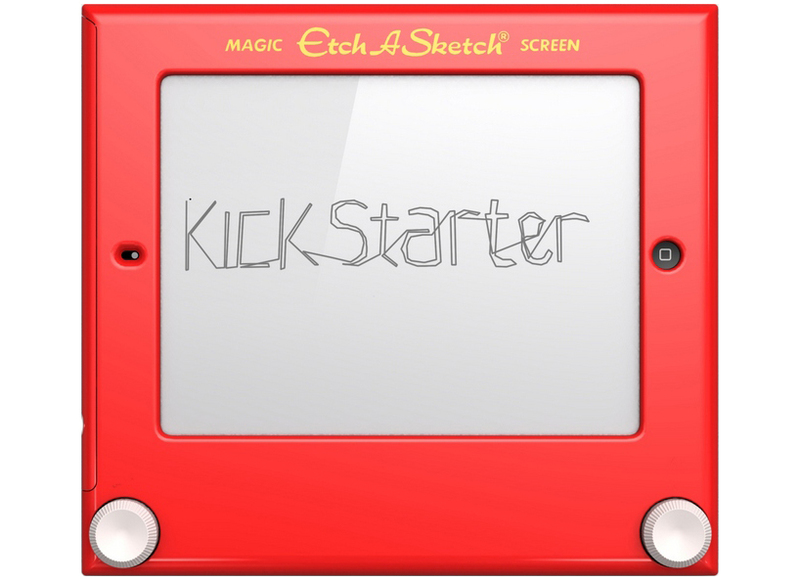 Remember the Etch A Sketch? The drawing toy that came out about 1960, with a gray screen in a red plastic frame? It had two white knobs at the bottom left and right of the frame which you could turn to move a stylus that left a solid black line on the screen. Then when you’ve drawn a hundred line segments, made efforts in all directions, drawn all kinds of erratic lines, and messed up your screen with a bunch of jumble, you can shake the whole thing up and clear it all off. A clean slate. Then you can start over. New Year’s feels sort of like that. Of course, there are things you can never wipe away, but there are things you can change to be a better you. If you made a bad decision last year, shake it all up and let it go — leave it behind. What can you do to improve on what you did last year? What can you accomplish that you’ve desperately wanted to do? 1. Pick specific and realistic goals. Instead of Exercise more, pick Walk five days a week. 2. Define the goals. If you want to finish writing your book (wow, that’s way too broad! ), what incremental steps can you take to get there? Assess where you are. What will it take to finish the rough draft? How many chapters? How many chapters can you write in a week, or month? Can you even finish it in 2014? Is that realistic with your life and work schedule? 3. Set a schedule for carrying out your goals. Write it down. I like to consider a few fun things just to dream about. Maybe buying a pink sapphire ring? An iPad? Taking a trip to that Oregon town and the hotel right on the coast to just stare at the waves coming in? It might not be practical to do any of these, but it is my choice, and I can break these resolutions easily and not feel badly about it. That lets me focus on the other goals and have a better chance of achieving them. It’s Almost a New Year! I’m pretty good at meeting goals and keeping resolutions when I make them. Like the year I vowed to eat fresh (only!) vegetables every day, prepared in a healthy way—no canned, no frozen. I did it for 365 days and beyond. When I was in high school, I stopped eating chocolate for two years. I don’t know how I did that, but I did. I don’t want to do that again. Years ago, I resolved to eat no sugar for a year. I was successful to my knowledge, and the first taste of sugar afterward was sweetly offensive. I think the secret to keeping new year’s resolutions is to narrow them down and get specific. If they are too general or vague, it’s easy to let a day or a month…or a year…slide without accomplishing anything or staying on track. For example, “eat healthier” is a general goal and not measurable. However, “eat fresh vegetables every day” is specific and clear. You can be held accountable for whether you do or don’t. As far as writing, what do I want to publish? Pick a particular story or essay and resolve to send it out five times a week until an editor bites. I’m bad about finding the time to send it out once and waiting for the expected rejection. You get nowhere like that. So I vow to pick two essays, and I know which ones they are, and send each out five times a week for three weeks. It’s a start. In 2013 I want to finish my book manuscript. I want to finish it by March. So—how many words do I want it to be and how many do I have now? If I’ve got 50,000 words left to write and thirteen weeks until March 1, then I must write 3,800 words per week. Doable. It’s time to get serious. Not that I wasn’t. But this is a specific resolution, and I’ve made it public for the whole world to see, and if I don’t reach my goal, then I am a failure. And a vow breaker. And I don’t break vows. It’s that time of year again — the last day of the old, ticking toward the first day of the new. A new chance. Tabula rasa. Blank slate. I can start afresh. What I didn’t do last year, I can strive for this year. Or I can simply build on things that I started in previous years. I admit I do make New Year’s Resolutions. Sometimes. I didn’t last year. The year 2007 was the first year my father didn’t cross over into, and my mind wasn’t on setting goals for myself. So if I accomplished anything in 2007, I don’t know what it was. If I do make resolutions, I do tend to keep them, for the most part. I open my old, tan leather journal to its first gilded page: Jan. 1, 2005. My eyes move to the end of the entry for that day, where it says “New Year’s Resolutions,” underlined. I’d listed seven and then commented, “I do not want to let anything get in the way of my goals.” I kept them all that year. Number One catches my eye. 1. Write a column/essay [creative nonfiction] each week for Muscadine Lines: A Southern Journal. Check! Did that. In fact, I did it all of 2005, 2006, and 2007 and have about 135 essays archived. I’m already marking on my slate for 2008 — pictured in my mind as the kind of toy slate I used to get in elementary school as a Christmas present from teachers or as a birthday party favor. It had colorful cartoon pictures around the cardboard edges, a thin red wooden pencil, and a clear plastic sheet to lift away from the black base and erase the words I’d written or the pictures I’d drawn. I like to think I’ve slowly pulled up that sheet, hearing the crackle of plastic, and made all the old markings disappear, and maybe I can do better with what I draw or write next.